In South Florida, where hurricane "season" occupies a full six months of the calendar, AEC industry professionals are especially attuned to the challenge of designing for high winds. Vincent J. DeSimone, chairman of DeSimone Consulting Engineers, has been there—and knows just where to look for answers. "The most useful tool that structural engineers have to determine the forces on the building skin is wind tunnel testing and the ensuing results," said DeSimone, who will deliver a talk on "Innovative Facade and Building Design Through Modern Wind Tunnel Engineering" at September's Facades+ Miami conference. During a wind tunnel test, explained DeSimone, engineers place a scale model of a building inside a tunnel, then vary the wind speed and direction to determine the pressures on the structure. Sensors detect these pressures, which are then translated into forces acting on the facade. Forces on the facade vary from low to high, he noted, and some "hot spots" on the building envelope can achieve local forces in excess of 200 pounds per square foot. The load for the structure as a whole are generally determined by average these minimum and maximum forces. Per the applicable building codes, Miami-area structural engineers base the wind forces used in wind tunnel strength tests on maximum wind forces for a 50 year wind cycle. Building movement is another matter, said DeSimone. 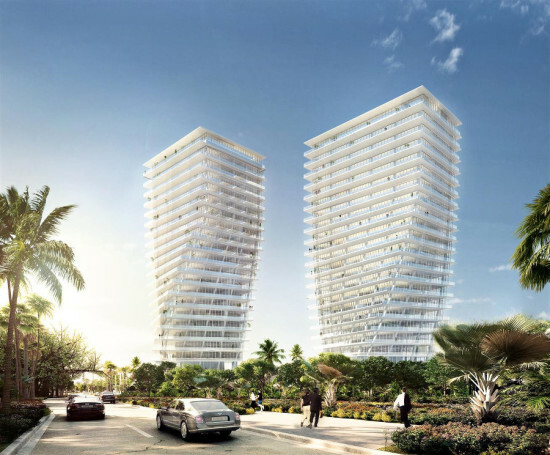 For architects and builders in Miami, the allowable lateral displacement—the height of the floor divided by 360—is determined using a 25 year wind cycle. In a building with a story height of 12 feet, in other words, the allowable movement is 0.4 inches. "In seismic zones where movement is expected to be much higher during a seismic event, facades are allowed to be much more flexible," observed DeSimone. "Knowing that facades do not determine the allowable movement of a structure, doesn't it stand to reason that here in Miami we are designing buildings much stiffer than they need to be?" Recalculating allowable movement according to a 10 year wind cycle, for instance, could reduce the building's shear walls by 22 percent. "This reduction—which, by the way, is used all over the country—results in a true sustainable reduction in material," he said. "Remember, the most sustainable building is the building you don't build and, conversely, the building which uses the least material." Learn more from DeSimone and other experts in high performance envelope design and fabrication at Facades+ Miami September 10–11. 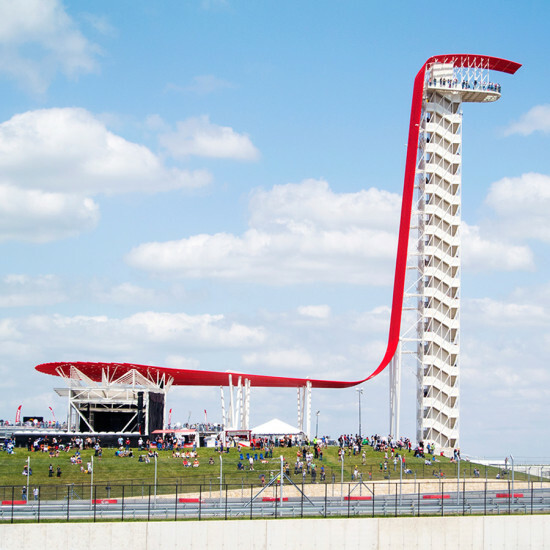 Austin’s Circuit of the Americas gets an iconic observation tower using 350 tons of steel. The Circuit of the Americas (COTA) in Austin, Texas, will host the United States Grand Prix from 2012 to 2021. While German Formula 1 specialist Hermann Tilke designed the racecourse and technical facilities, COTA’s owners hired local firm Miró Rivera Architects to turn out a main grandstand and amenities for the 9,000 fans expected to attend the races. In addition to imbuing the project with a variety of programmatic functions that go beyond racing, Miró Rivera created a sleek observation tower that gives spectators unrestricted views across the racetrack’s twisting expanse. “Our idea for the tower was to be able to go way up and see the track from one focal point in a structure that was an iconographic symbol for the track,” said Miguel Rivera, founder and principal of the architecture firm. “Our inspiration came from Formula 1 cars, where speed and efficiency are so important.” Just like the track’s feature attractions, the tower’s design didn’t feature any excesses. Structural engineers at Walter P Moore helped ensure every piece of steel did some kind of work so the tower was as efficient as possible. Engineering firm Buro Happold is known for designing innovative structures. 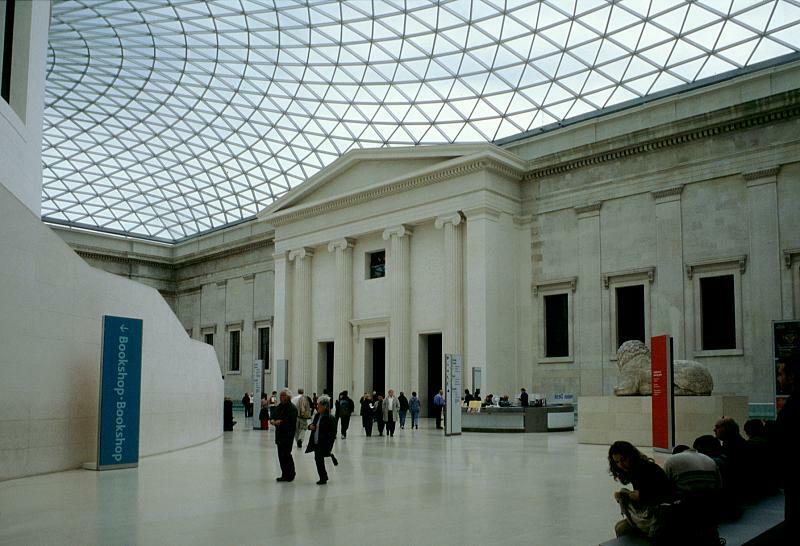 The glazed canopies it suspended above the courtyards of the Smithsonian and the British Museum baffle the mind with their seeming lightness. And the Experimental Media and Performing Arts Center at Rensselaer Polytechnic, on which the firm collaborated with fellow UK native Grimshaw, introduced upstate New York to some of the most space-age forms it has seen since Whitley Streiber's Communion. 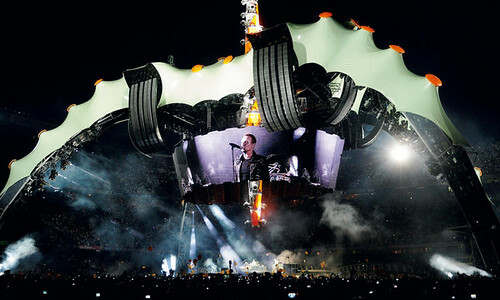 Now the firm—along with designers Hoberman Associates and Innovative Designs—has turned its expertise to the world of rock and roll with its structural design for an expanding 4,000-square-foot video screen that will accompany U2 on their current 360º tour. Made up of 888 LED panels (500,000 pixels) the screen weighs 32 tons, can expand and contract from 23 feet tall to 72 feet tall in 90 seconds, and can be assembled in 8 hours and broken down into portable pieces in 6 hours. More pics and some videos after the jump. The expanding video screen debuted on June 30th in Barcelona, Spain. It will open in America on September 12th in Chicago's Soldier Field. A video mock-up of screen produced by Stufish. The screen in action on opening night in Barcelona.